Post-Haste Reed Duo - a "surprisingly diverse and intriguing combo"
Thank you Oregon Arts Watch for reviewing Post-Haste Reed Duo's album! Brett Campbell writes, "The unlikely combination of bassoon and saxophones (sometimes with electronic enhancement) makes a surprisingly diverse and intriguing combo on this release by the duo of Sean Fredenburg and Javier Rodriguez." Read the rest at Oregon Arts Watch. 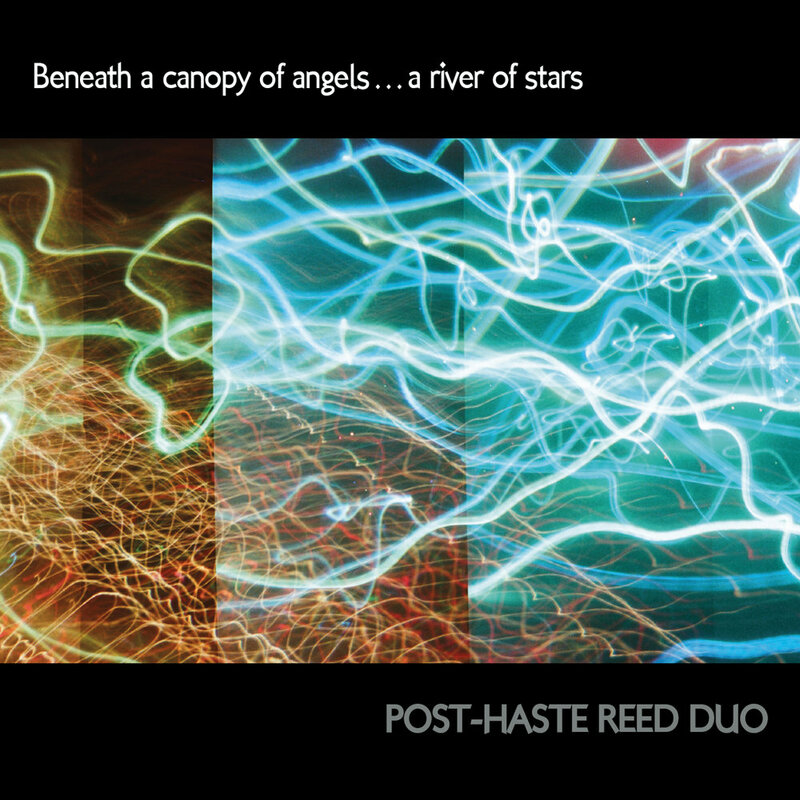 Another well-deserved review for Post-Haste Reed Duo and their composers! This, the debut album of the Post-Haste Reed Duo, comprises four commissions and one arrangement specifically for this Portland-based ensemble. The first piece, Simon Hutchinson’s bioMechanics (2011) uses an electronic track generated from sampled and processed recordings of the Post-Haste Reed Duo. Hutchinson states that our modern lives “are often a blur of the biological and the technical”; his piece sets out to investigate the interactions between technology, itself created by organic beings (humans) to serve our needs, and those human elements themselves. The opposite poles of freedom (including improvisation) and discipline are explored in a fascinating manner. The soundscape itself is highly varied, from the beautiful to the highly rhythmic. The slickness of the performers is remarkable, as is the imagination of the composer in what emerges as a tour de force. Dutch composer Louis Andriessen (born 1939) contributes Lacrimosa (1991), originally scored for two bassoons and heard here in an arrangement for alto saxophone and bassoon by Jeff Chambers. Slow moving, the pace offers ample time to relish the composer’s use of microtones, so deliciously rendered here. Using the first names of the present performers to generate musical material, Ethan Wickman’s Confluences (2014) for alto saxophone and bassoon includes a spatial element of “coming together” on the performance space itself that is unavailable in an audio-only recording, but nevertheless there is plenty of interest from a musical surface that is nicely varied. There also appears to be an element of humor here, in the first movement; certainly the composer’s touch is appealingly light. Cast in three movements (“Rogue,” Receding Orbits” and “Beneath a canopy of angels … a river of stars”), this is an interesting piece; the close recording emphasizes the instruments’ conversations in the central panel; the final movement (from which the disc derives its title), a poetic examination of the night sky, is a gentile, if technically tricky, dialog between the two instruments. The composer of the next piece, Lanier Sammons, also produced the album. His Some thoughts about time (2012) consists of six short movements in no fixed order for sax, bassoon and (intermittently) electronics. The piece seeks to explore theories of musical time: perhaps the super-extended long note of the opening of the initial “Bound” acts as a launch pad for these ponderings. The rather bouncy third movement, “Strata,” is terrifically involving in its complexity; the otherworldly sound of the final “Patience” seems to sum up the strange fascination of this music. "theirs is no novelty act; the music on the release holds up as an excellent collection of contemporary classical works by Louis Andriessen, Simon Hutchinson, Lanier Sammons, John Steinmetz, and Ethan Wickman, no matter the instrumentation involved." "...what beneath a canopy of angels...a river of stars demonstrates above else is that whatever reservations one might have harboured regarding the limitations of a saxophone-and-bassoon pairing can be put aside, as Fredenburg and Rodriguez clearly show that music of limitless stylistic range and emotional scope is possible when such instrumentation is involved." Read the rest at textura.org.